FiveStar’s mission is to serve serious home chefs. That commitment to the culinary community began in 1935, when Grover Cleveland Brown offered his first cooking products. The tradition carried on through his son, grandson, and now his great-grandson, Matthew Brown. Every FiveStar range is manufactured right here in America. FiveStar ranges have received a multitude of awards, including four Best Buy Awards of Excellence from Consumers Digest and multiple Design Journal ADEX Awards for Design Excellence. 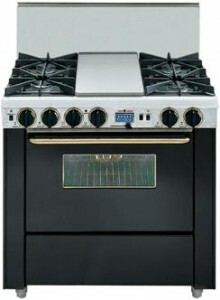 At Cody’s Appliance Repair, we are expert FiveStar Range Repair Technicians! Cody’s Appliance Repair has been servicing the FiveStar brand for over two decades. We are thoroughly familiar with the intricacies of this outstanding brand. If your FiveStar appliance is not performing optimally, do not wait! Give us a call today for FiveStar Range repair service. We will have your FiveStar ready for your next culinary adventure! If you live in Boise, Eagle, Meridian, Nampa, Caldwell, Star, Middleton, Emmett, Kuna, Garden City, or Horse Shoe Bend, call us today at (208)938-1066 for expert FiveStar Range Repair, or schedule service right here online.